Mass and energy are two concepts effectively describing the same thing, therefore we could more appropriately combine these two laws into a single law: the law of conservation of mass-energy. This law states that mass-energy cannot be created nor destroyed. More practically, however, it is not realistic to convert large quantities of mass completely into energy. 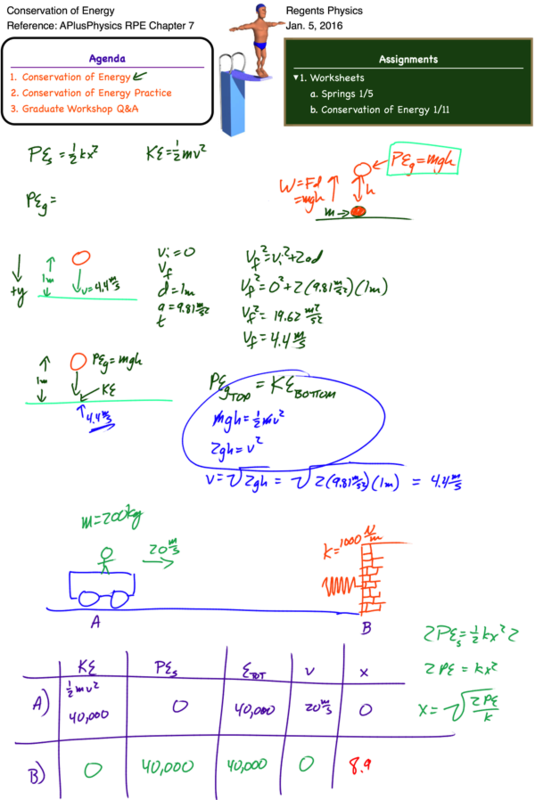 Current practice revolves around converting small amounts of mass into energy in nuclear processes. Typically these masses are so small that measuring in units of kilograms is cumbersome. Instead, scientists often work with the much smaller universal mass unit (u), which is equal in mass to one-twelfth the mass of a single atom of Carbon-12. The mass of a proton and neutron, therefore, is close to 1u, and the mass of an electron is close to 5×10-4u. In precise terms, 1u=1.66053886×10-27kg. 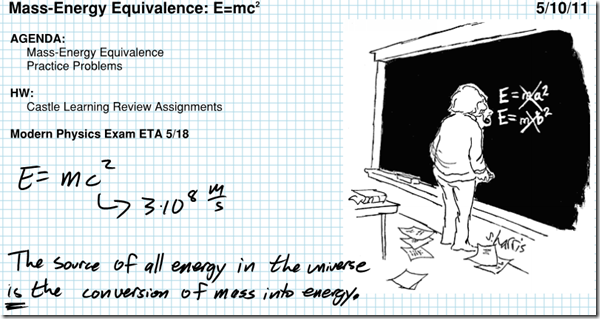 One universal mass unit (1u) completely converted to energy is equivalent to 931 MeV. Because mass and energy are different forms of the same thing, this could even be considered a unit conversion problem. If given a mass in universal mass units, you can use this equivalence directly from the front of the Regents Physics Reference Table to solve for the equivalent amount of energy, without having to convert into standard units and utilize the E=mc^2 equation.